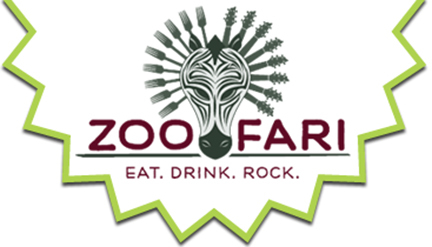 Zoofari This Weekend at Tampa's Lowry Park Zoo!!! Zoofari This Weekend at Tampa&apos;s Lowry Park Zoo!!! That&apos;s right guys its Zoofari time at Tampa&apos;s Lowry Park Zoo! If you haven&apos;t had the pleasure of having attended Zoofari in the past, then let me tell you that this year&apos;s even is one that you won&apos;t want to miss! Now don&apos;t get me wrong, as this years event isn&apos;t just one to go and stuff your face (although I will be doing plenty of that), there will be plenty of music, as well as local artiest and their work on display! As you can imagine this will be one of the hottest tickets in town, so be sure to head to the website and purchase your tickets now! Also, be sure to be paying attention to us this week on Facebook & Twitter, as well will be doing a ticket giveaway of some sort for one lucky winner and a guest! That&apos;s it for now, but be sure to check back later on in the week for a chance at some tickets and more updates on things to do in Tampa Bay!